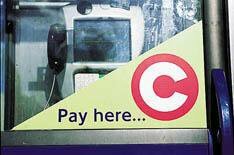 25 London Congestion Charge confirmed | What Car? Owners of cars emitting more than 225g/km of carbon dioxide will pay a 25-a-day congestion charge to enter London from October 27. In addition, if you drive a car registered before September 2001 with an engine bigger than 3000cc, youll also be charged 25. London mayor Ken Livingstone also confirmed that owners of cars that emit less than 120g/km of CO2 will have the congestion charge waived. Just two per cent of cars using the zone at present are in tax bands A and B, which will be free, although this figure is expected to rise significantly. Livingstone is the architect of the Mayors Climate Change Action Plan, which aims to reduce Londons CO2 emissions by 60 per cent by 2025.